Savoury porridge?!? Hell yeah! 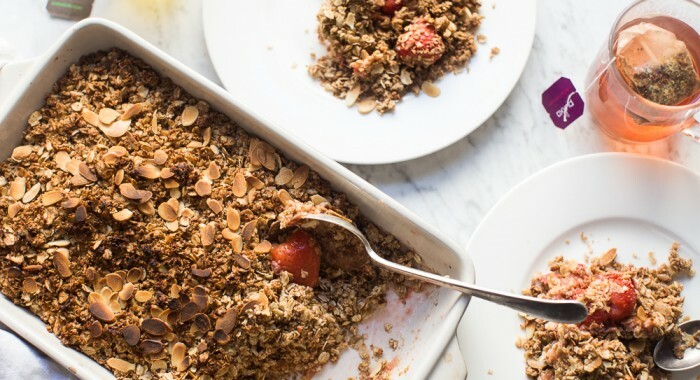 It’s delicious for breakfast or lunch! 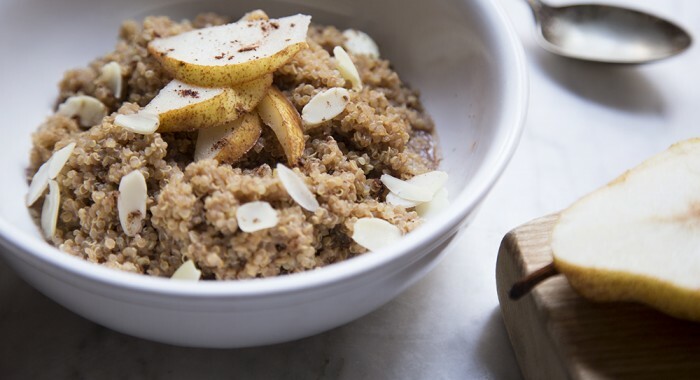 Wonderful earthy flavours for utter comfort in a bowl on a cold wintery day. 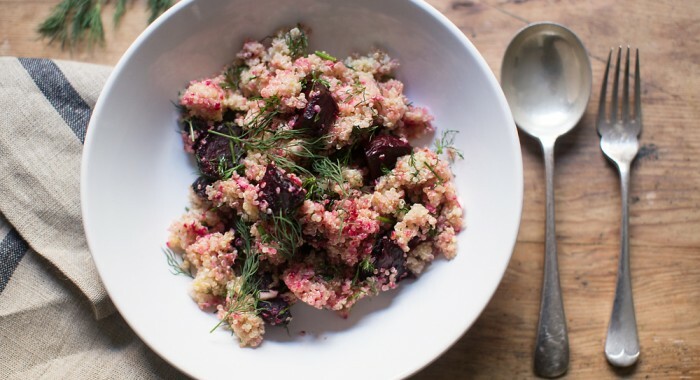 Buckwheat has a lovely earthy taste and is a beautiful partner for mushrooms! Not related to wheat in any way, buckwheat is a gluten free pseudograin, actually a seed. 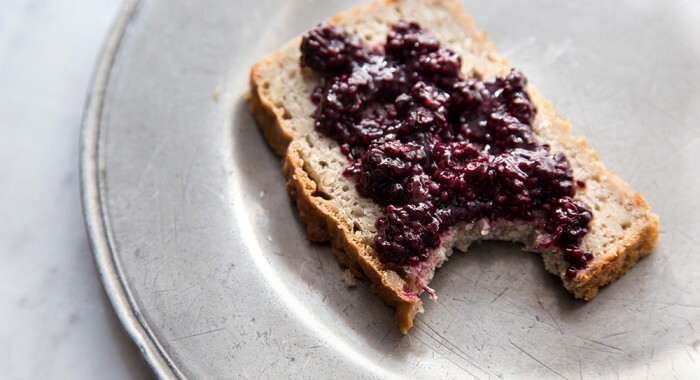 Very high in fibre and antioxidants, it offers us a number of significant health benefits. High in Rutin, a flavonoid which provides cardiovascular health benefits by reducing inflammation and helping lower LDL cholesterol. High fibre content means that it provides slow release energy, balancing blood sugar levels and improving insulin resistance. Additionally fibre improves bowel transit and therefore clearance of toxins. Miso is a salty paste made from fermented soybeans that has been a staple ingredient in the Japanese diet for thousands of years. I’m never without Miso in the fridge, as I love adding it to sauces and stir fries and soups. When it comes to soy you do need to be a little be careful, avoiding the very processed foods such as soy milk, soy cheese or soy meat replacement. Organically grown fermented soy products like miso, tofu, tempeh or natto are the only types of soy I recommend because sadly non organic soy is often GMO and highly processed. When you ferment soybeans, you end up with a completely different product with a completely different set of available nutrients. Miso is rich in probiotics helping boost our gut microbiome, as well as phytonutrients which studies have shown to be beneficial for balancing hormones. Mushrooms are a fascinating powerhouse of nutrients and compounds that provide many positive health benefits for humans. 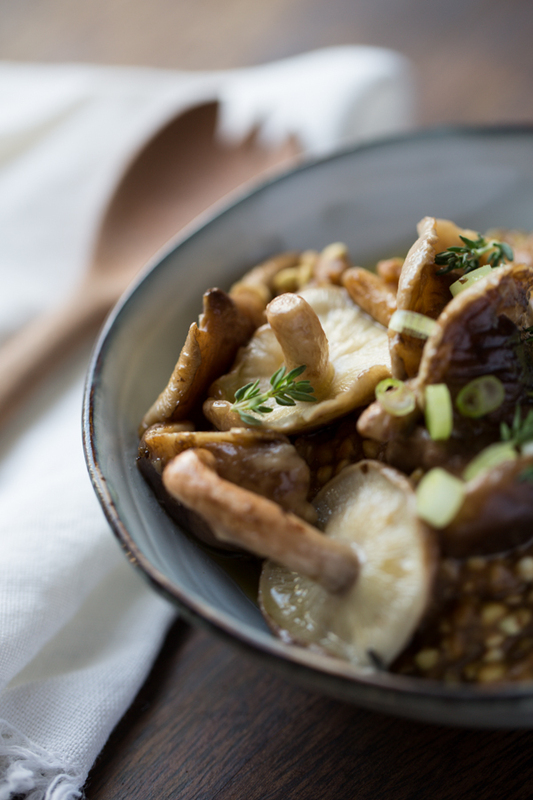 Mushrooms of all varieties are great to include in the diet, as they contain hundreds of beneficial bioactive substances, including phytonutrients, minerals, proteins, beta-glucans and much more. Mushrooms have been used for thousands of years in cultures around the world, particularly in Asian countries, while the ancient Egyptians believed eating mushrooms was beneficial for longevity. And now, modern scientists are discovering some fascinating health promoting properties of mushrooms such as lipid-lowering, immunomodulation, anti-tumour, anti-oxidant, anti-viral, anti-bacterial, anti-parasitic, hepatoprotective, anti-diabetic and more. Slice the mushrooms and cook in a pan with a little olive oil. You can add some herbs like thyme or tarragon to the mushrooms if you like. Add the buckwheat groats to a saucepan, cover with 1 cup of water and simmer for 5 minutes. When they’ve softened, add the flaked buckwheat and a little bit more water as needed and cook for another 5 more minutes. Add the miso paste at the very end as to not kill off the good bacteria. 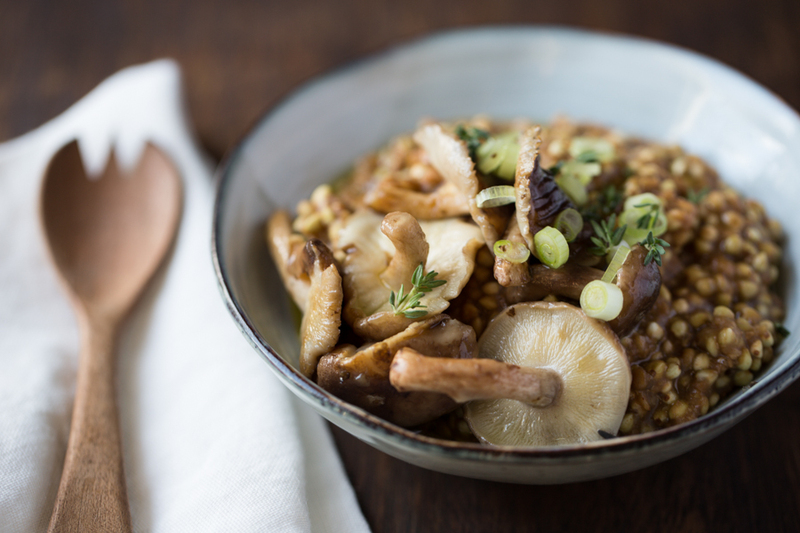 Add the buckwheat porridge to a bowl and top with mushrooms, spring onions and thyme.